Need to buy or sell a home? Let a top Realtor with 20 years in Real Estate help you! I give my clients 110% service! Call me today 813-294-4464 or go to our website www.TeamBarone.com, you can also get a free Foreclosure/Short Sale list! This 5/3.5/den/bonus 3393 sq ft Briarwood floor plan is a must see. This home sits on a larger lot with tons of upgrades. Granite in the kitchen and master bath, upgraded 42" cabinets with crown molding, S.S. appliances, Undermount sink, interior paint color, 5.25 baseboards, French doors, pool pre-wire, tumble marble backsplash, 18X18 tile, brick pavers, upgraded faucets, lighting fixtures, rounded corners throughout, surround sound pre-wire, stair spindle system and much much more. 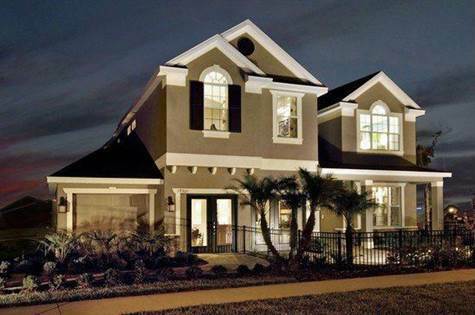 This home will be ready in 2016 and buyer may select all finishings. PLEASE NOTE: Pictures are of other model homes and are show to depict the type or features that the builder offers.